Azerbaijan's National Art Museum invites everyone to a new concert program on May 11. 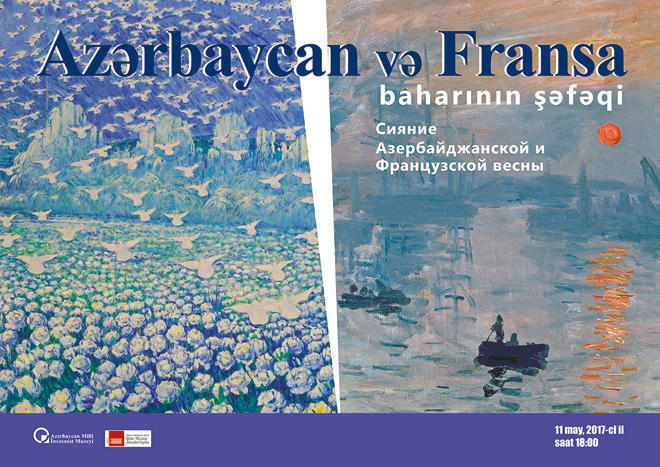 The gala concert "Shine Azerbaijani and French spring" is organized at the initiative of Baku Music Academy named after Uzeyir Hajibeyov and the National Art Museum, Trend Life reported. Students of Baku Music Academy will perform classic works of Azerbaijani and French composers under the guide of Professor Leila Mamedalieva,. The event starts at 18:00. Uzeyir Hajibeyov is recognized as the father of Azerbaijani composed classical music and opera. In 1920, Baku Academy of Music was founded to give classical musicians the same support as folk musicians. After World War II, Fikret Amirov introduced a new genre called symphonic mugham. His symphonic mughams were based on classical folk pieces and were performed by many renowned symphony orchestras throughout the world. Today, the Asaf Zeynally Music School in Baku and Baku Academy of Music provide world-class music teaching to gifted classical musicians. Modern day advocates of Western classical music in Azerbaijani include Farhad Badalbeyli, Fidan Gasimova and Franghiz Alizadeh.